Interactive maps and sites are worth checking out with the solar eclipse nearing. NASA is using an interactive Google Map to let you see the path of Sunday's annular solar eclipse, which will be viewable for millions of people. NASA also offers a projected time lapse of the eclipse. And if you're in the western United States, check out the website Shadow and Substance, which shows how the eclipse will look in each state in which it will be visible. 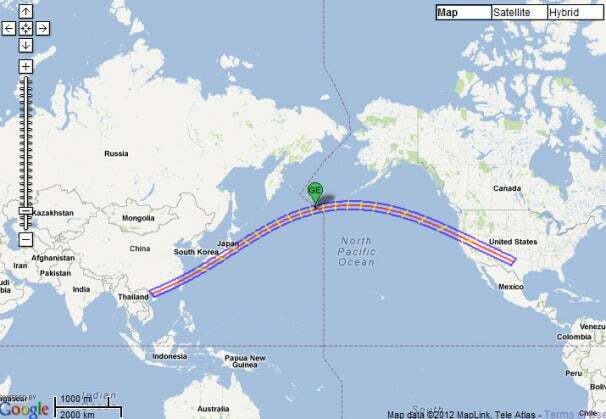 If you're located in the eastern half of the U.S., you'll miss it because of sunset, but anyone west of Wisconsin down to Texas all the way over to southeast Asia can click on the map from NASA and Google to find out exactly when the moon will pass in front of the sun, covering as much as 94 percent of it. In the United States, the eclipse begins around 5:30 p.m. PDT and if you're near the center-line of the eclipse, which runs from Northern California through Northern Texas, for about 4.5 minutes you'll be able to see a "ring of fire," which will look as if the sun has a black hole in its middle. "Because some of the sun is always exposed during the eclipse, ambient daylight won't seem much different than usual. Instead, the event will reveal itself in the shadows,” writes Dr. Tony Phillips for NASA's Science News. While you can use a solar filtered telescope to look at the eclipse, Dr. Phillips points out that a simple and safe way to experience it is to crisscross your fingers waffle-style and view the projected rays of light on a surface below them, or stand under a tree to see ring-shaped sunbeams on the ground. In a footnote he explains, "It's only when sunlight passes through a small aperture that you the get the 'pinhole effect' necessary for solar imaging. Gaps in the leaves between trees or between interwoven human fingers are perfect for this purpose."